Call Us: 800-332-MOVE (6683)Call Now! With 50 years of local moving experience, Bernd Moving Systems is the undisputed leader of relocation and moving services in the Yakima, WA area. As an agent for United Van Lines, our local, family-owned and -operated business is backed by unmatched levels of moving expertise and knowledge that our customers rightfully expect and deserve. Don't leave your move in the hands of those who can’t prove their trustworthiness. We are America’s number one residential and commercial moving company, offering excellent customer care and attention. 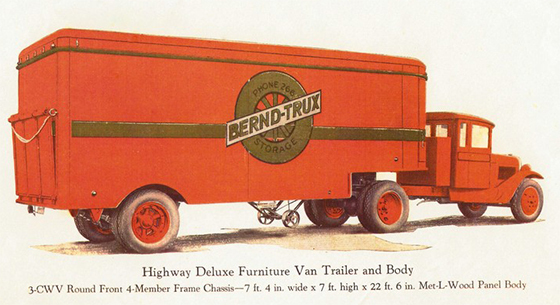 With 100 years of industry experience, the Bernd family has served the nation with exceptional moving and relocation services since 1916. As an agent for United Van Lines, our family-owned moving company places the needs of our customers at our highest priority and never compromises our values or principles in an effort to deliver the best possible moving experience. From small local moves within the Yakima area to long-distance moves that span thousands of miles, Bernd Moving Systems' team of moving experts are intensely trained and highly knowledgeable about the logistics, challenges and priorities of relocation services. We promise to manage each and every detail of your move, whether residential or commercial, with professionalism and precision in order to alleviate as much stress as possible. Call for a no-obligation consultation today. As experts in relocation and moving services, Bernd Moving Systems strives to eliminate the stress and hassle that often seem inherent to moving. Whether you're moving within Yakima or across the nation, we’d love to help make this milestone as exciting and memorable as possible. Contact us today for your customized quote so we can get started on your next big move!